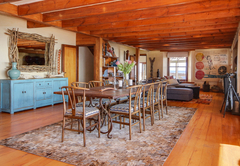 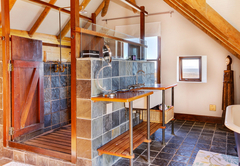 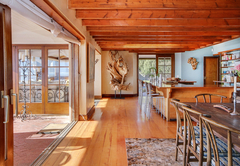 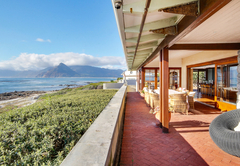 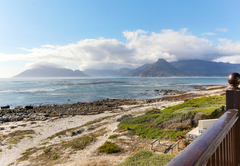 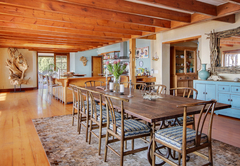 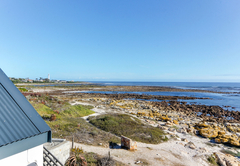 Arum Beach House is a property providing self catering in Kommetjie for up to 10 guests visiting the Atlantic Seaboard region. 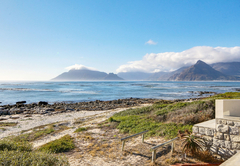 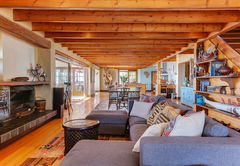 Arguably one of the the best locations in Kommetjie, Arum Beach House is a spectacular large home in the Old Kom with its own ‘private’ beach! 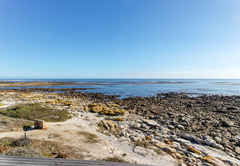 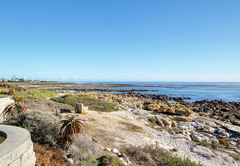 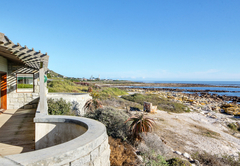 It is within easy walking distance to the village, Slangkop Lighthouse and Long Beach. 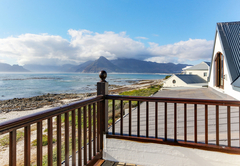 Boasting unrestricted views of the Atlantic ocean and the sunset from every angle, this is the perfect beach house hideaway. 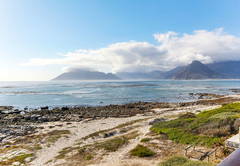 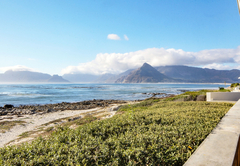 Kommetjie is a wonderful place for a beach holiday with its pristine beaches and beautiful bay for swimming and surfing. 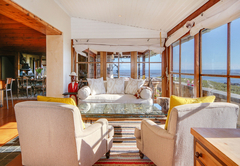 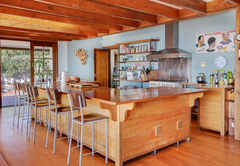 Arum Beach House sleeps 10 guests in five bedrooms with en-suite bathrooms. 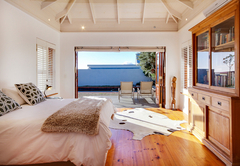 The main bedroom is furnished with a King-size bed and opens onto the deck. 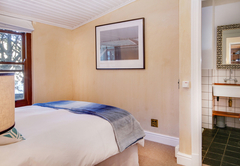 The second bedroom has a Queen-size bed and the third has twin beds. 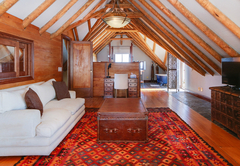 The fourth bedroom is situated upstairs. 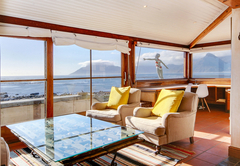 This large room has a private deck and is furnished with a King-size bed. 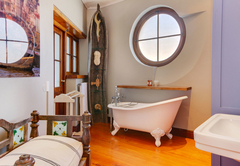 The fifth room is a separate cottage furnished with a Queen-size bed. 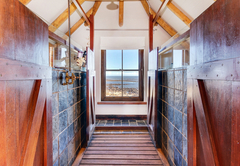 The cottage has a small deck. 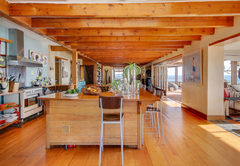 There is an open plan living and dining area that leads onto the beach deck as well as a sun lounge for windy days. 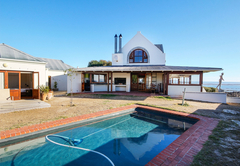 The house has an open plan fully equipped kitchen and a separate scullery. 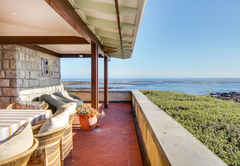 There is a lovely wrap around deck with spectacular views. 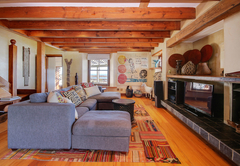 Arum Beach House sleeps 10 guests in five bedrooms with en-suite bathrooms. 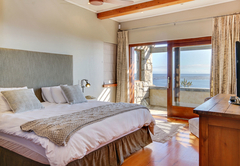 The main bedroom is furnished with a King-size bed and opens onto the deck. 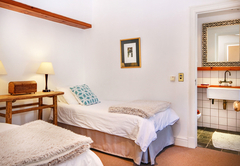 The second bedroom has a Queen-size bed and the third has twin beds. 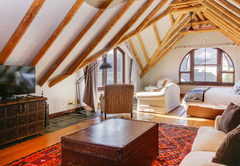 The fourth bedroom is situated upstairs. 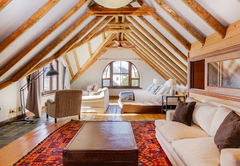 This large room has a private deck and is furnished with a King-size bed. 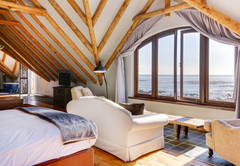 The fifth room is a separate cottage furnished with a Queen-size bed. 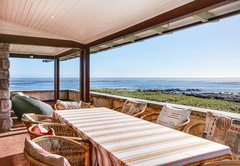 The cottage has a small deck. 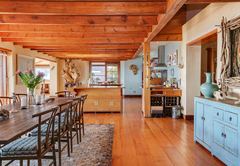 There is an open plan living and dining area that leads onto the beach deck as well as a sun lounge for windy days. 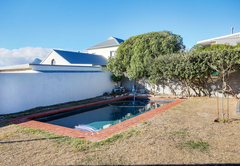 The house has an open plan fully equipped kitchen and a separate scullery. 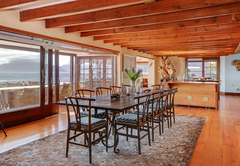 There is a lovely wrap around deck with spectacular views. 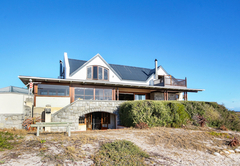 Response timeArum Beach House typically responds to requests in 5-10 minutes.